Many industry experts warn that the United States is not prepared for bitcoin's entry into the financial markets. The fast rise - it has gone up more than 40 percent this week alone - is creating a buying frenzy among eager speculators around the world and helping push bitcoin into the mainstream. But it is also forcing U.S. regulators to grapple with whether to legitimize a product that operates outside the control of any government or financial institution. Indeed, many industry experts warn that the United States is not prepared for bitcoin's entry into the financial markets. As bitcoin prices were setting records, hackers this week reportedly made off with $70 million in the digital currency after targeting NiceHash, a cryptocurrency platform. The Futures Industry Association, which includes Goldman Sachs and JPMorgan Chase, has complained that the process for investing in bitcoin is moving too fast. "We remain apprehensive with the lack of transparency and regulation of" bitcoin, the group said in a letter earlier this week. Such warnings haven't stopped the craze surrounding the currency, as the sharp rise in value creates ever more demand around the world. In South Korea, ordinary people are pouring their life savings into bitcoins and other digital currencies. In Venezuela, after observing the rise of bitcoin, the government announced it would launch its own virtual currency called "The Petro" to get around U.S. sanctions. Bitcoin was first created in 2009 under mysterious circumstances - little is known about who originally came up with the idea. It launched as a digital currency - without physical coins such as dimes or nickels - and was accompanied by an online payment network, similar to Paypal. But unlike Paypal, the bitcoin transaction system is not owned by anyone. Its decentralized, democratic nature gave it special appeal among technologists - and some international criminals. Only buyers and sellers- rather than the central bank of a government -- can change its value. Transactions between accounts are recorded on online ledgers and prices posted publicly on exchanges such as Coinbase's GDAX, one of the indexes that tracks the value of bitcoin. GDAX on Thursday reported bitcoin's price of more than $17,000. Cryptocurrencies initially won fans among technology enthusiasts and people trying to avoid traditional currency markets. Last week, for instance, Venezuelan President Nicolas Maduro announced the country would develop its own cryptocurrency, dubbed "the Petro," to defeat Trump administration sanctions. It has also proven popular with people seeking to buy drugs on off-the-grid online marketplaces without being detected by the police. When federal authorities shut down one such marketplace called Silk Road in 2014, they seized 26,000 bitcoins worth about $3.6 million. Confidence in the virtual currency has been repeatedly shaken by spectacular failures, including the 2014 implosion of the largest bitcoin exchange of its time, Mt. 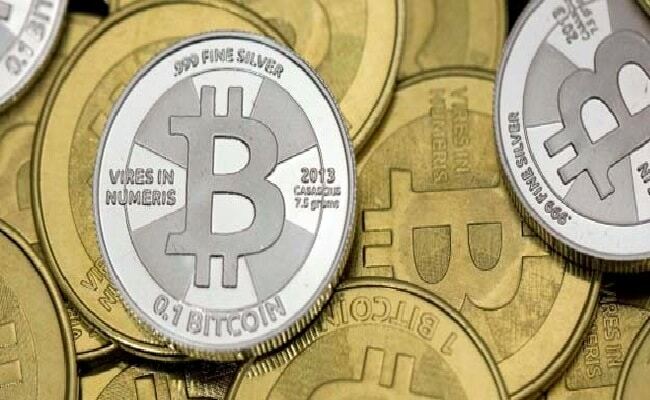 Gox, which went bankrupt after $400 million in bitcoin was allegedly stolen. Hackers remain a threat and sometimes bitcoins just disappear after their owner forgets or loses the passwords for their accounts. "Ten percent of bitcoin that has been generated to date has been lost forever," estimated Williams from Boston University. "That is billions and billions of dollars." But these hiccups have been followed by quick rebounds. Some retailers, such as Overstock.com and Subway, began accepting bitcoins as payment several years ago and bitcoin ATMs are available in some cities, making purchase of the currency easier. Brokers such as San Francisco-based Coinbase have developed apps to made it easy to buy and sell bitcoins from a personal computer or smartphone. Yet, for Wall Street investors, bitcoins have remained a fringe product, too awkward - and potentially hazardous - to buy and sell. On a typical day, the price of a single bitcoin can rise or fall 10 percent or more, the kind of fickleness that would send panic through traditional stock markets. Yet, Bill Miller, a legendary investor famous for producing better returns than the Standard & Poor's 500 for 15 years straight before hitting a rough stretch, has been investing in bitcoin for years. Bitcoin remains "speculative" and could easily fall 50 percent, he said. But "it's been a big winner for us." Until now, investors who want to wager on bitcoin prices in traditional ways have had to do so in Europe or Asia. But these overseas marketplaces are often too small and loosely regulated to attract large U.S. investors, said Michael Unetich, vice president of cryptocurrencies at Trading Technologies, which provides trading software. Some have even gone out of business or been victimized by hackers, who steal their bitcoins, he said. "They are not seen as legitimate by institutional investors" such as hedge funds, said Unetich. There's been an ambivalence in the United States. Earlier this year, the Securities and Exchange Commission rejected an application from Cameron and Tyler Winklevoss, the twins famous for suing Mark Zuckerberg over the creation of Facebook, to create a bitcoin product over concerns such exchanges could be vulnerable to "fraudulent or manipulative acts and practices." The Office of the Comptroller of the Currency, another financial regulator, has been slow to adopt new rules that could potentially legitimize the bitcoin market, industry experts say. Yet, he said, "It is something we are starting to think about: what would it mean to have a digital currency, what would it mean to offer it, do we actually need it." An eary test could come this week. The Commodity Futures Trading Commission is allowing the Cboe Global Markets and the Chicago Mercantile Exchange to offer a bitcoin product, for example, that will permit investors to bet on future price changes. The better-known Nasdaq could follow next year. "The interest we have seen is probably more broad based than anything we have seen before," said Deters. "We're really offering something different, a truly regulated and well surveilled [bitcoin] marketplace with transparent rules and cutting edge technology." Yet, Deters acknowledges, the bitcoin craze that has sent the value of the virtual currency soaring, could dissipate once it hits the regulatory rigors of a traditional trading market. "Nobody knows, we will see what happens when people start to engage," he said. "I think we're modest in terms of the expectation." For now, experts urge investors to be wary. There are dozens of venues that quote slightly different bitcoin prices, many of which are small and could potentially be manipulated, they said. Also, some bitcoin enthusiasts are hoarding the virtual currency rather than using it to make a purchase, worried that its price will go up even further, rendering their purchase laughably expensive. "As the price skyrockets, it is hard to justify selling your bitcoin to buy a piece of furniture when tomorrow you could afford to buy two pieces of furniture," said Jai Massari, a partner at Davis Polk & Wardwell, who advises clients on financial regulation. But those accumulating bitcoins could try to sell just as quickly, and there's no certainly they will find ready buyers, experts said, leading prices to fall as fast as they rose.